Polish Me Up! : Winner Winner Chicken Dinner! Firstly apologies for the delay, I have been caught up with other things in the past week, but finally the result is in for my 100 Followers Giveaway! 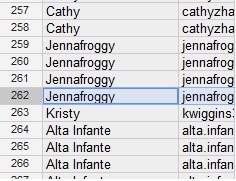 Congratulations to Jennafroggy! 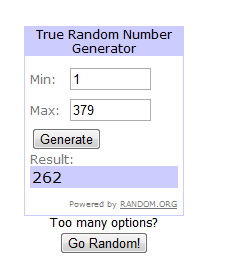 I have already emailed her, and if she does not get back to me in the next 48 hours, I will draw a new winner. Many thanks again for your support, have a lovely weekend!